November 9, 2005 --3:30 p.m.
Scientific inference is the process of reasoning from observed data back to its underlying mechanism. The two great schools of statistical inference, Bayesian and frequentist, have competed over the past two centuries, often bitterly, for scientific supremacy. Empirical Bayes, a novel hybrid, appreared in the early 1950's, showing promise of immense possible gains in inferential accuracy. Nevertheless it has languished in the statistics literature, with its gains viewed as suspicious and even paradoxical by Bayesians and frequentists alike. New scientific technology, exemplified by dna microarrays, has suddenly revived interest in empirical Bayes methods. This talk, which is aimed at a general scientific audience, examines the ideas involved through a series of real examples, and proceeds with a minimum of technical development. November 10, 2005 -- 11 a.m. Large-scale hypothesis testing problems, with hundreds or thousands of test statistics "z[i]" to consider at once, have become commonplace in current practice. Applications of popular analysis methods such as false discovery rates do not require independence of the z[i]'s but their accuracy can be compromised in high-correlation situations. This talk discusses methods, both theoretical and computational, for assessing the size and effect of correlation in large-scale testing situations. Two microarray examples will be used to illustrate the ideas. The examples show surprisingly large correlations that badly destabilize standard statistical analyses, but newer methods can remedy at least part of the trouble. Professor Efron is a member of the National Academy of Sciences, president of the American Statistical Association, recipient of the MacArthur Prize, and winner of the Wilks Medal of the American Statistical Association. 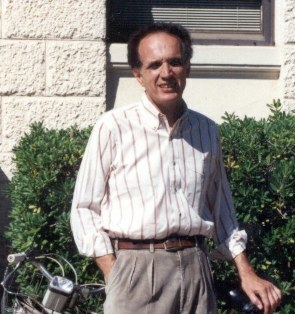 He is renowned internationally for his pioneering work in computationally intensive statistical methods that substitute computer power for mathematical formulas, particularly the bootstrap method. The goal of his research is to extend statistical methodology in ways that make analysis more realistic and applicable for complicated problems. He consults actively in the application of statistical analyses to a wide array of health care evaluations. "I like working on applied and theoretical problems at the same time and one thing nice about statistics is that you can be useful in a wide variety of areas. So my current applications include biostatistics and also astrophysical applications."